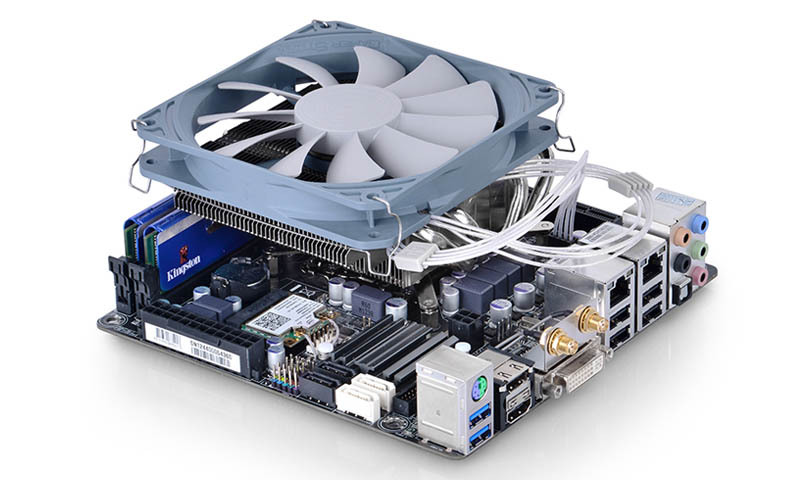 In our second review from the Deep Cool Gamer Storm line up we look at the low profile “Gabriel” for small form factor cases. After recently reviewing the Lucifer, we were expecting big things from this little guy but does it live up to our expectations? Almost..
Low profile coolers are made to fit in places where the vertical 120 and 140mm tower coolers won’t go, places like HTPC cases, mini ITX and even some M-ATX cases. 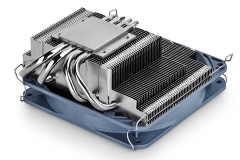 A system builder usually makes a conscious decision to compromise with these coolers, going for the low profile and low noise factors over performance. We received a review sample of the Gabriel from the Gamer Storm series and set out testing it on the test bench and in 2 concept builds. 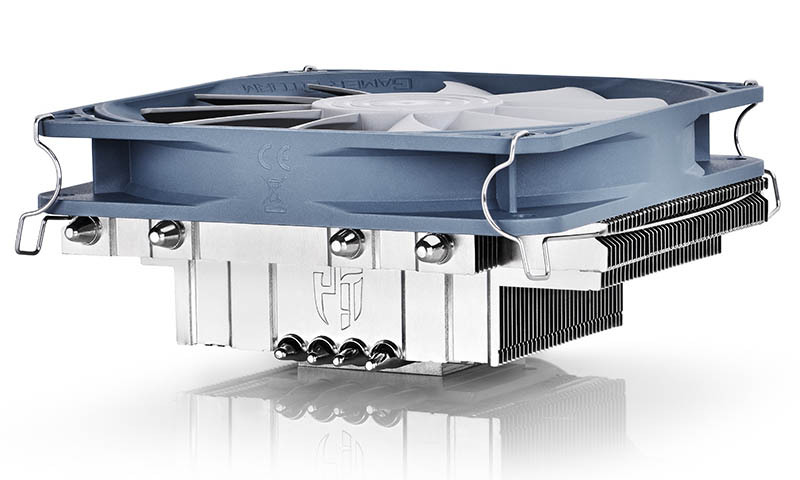 The Gabriel is a horizontal 120mm low profile CPU cooler with mounting brackets that are suitable for Intel 115x (but not 2011) and AMD sockets. 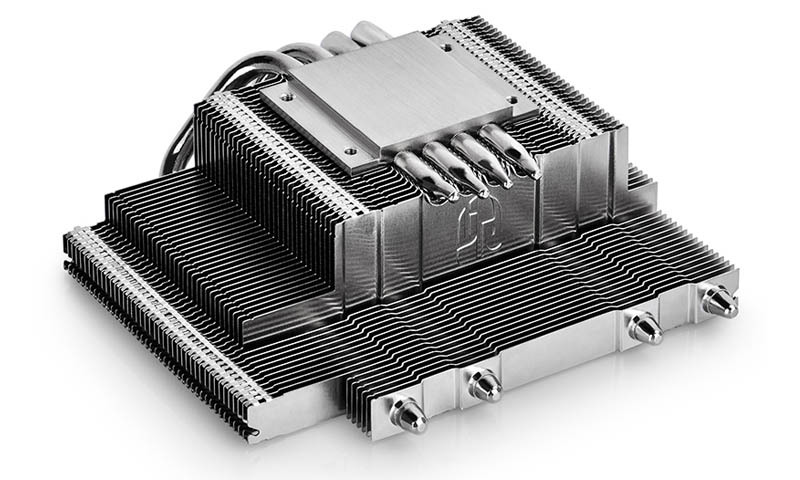 The aluminium fins of the heat sink are appropriately spaced and shaped to work with low profile RAM like the Corsair Vengeance LP that we use in our test bench and personal rigs. There are 4x6mm heat pipes to help transfer the heat away from the copper base. 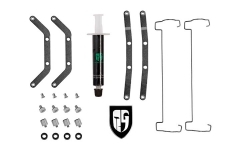 The pipes are shaped in a way that is unlikely to foul anything else on your motherboard – they basically come out of the base, make a neat 90 degree bend, then bend again neatly to support the fins and top mounted fan. 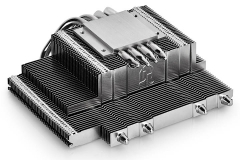 The heat pipes also don’t loop around too much, keeping the chances of interference with other components in a mini ITX build minimal. 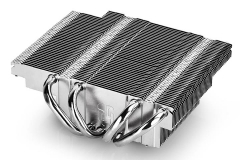 Mounting this cooler on a motherboard is easy – so easy that I’d say it’s up there as one of the easiest to install. 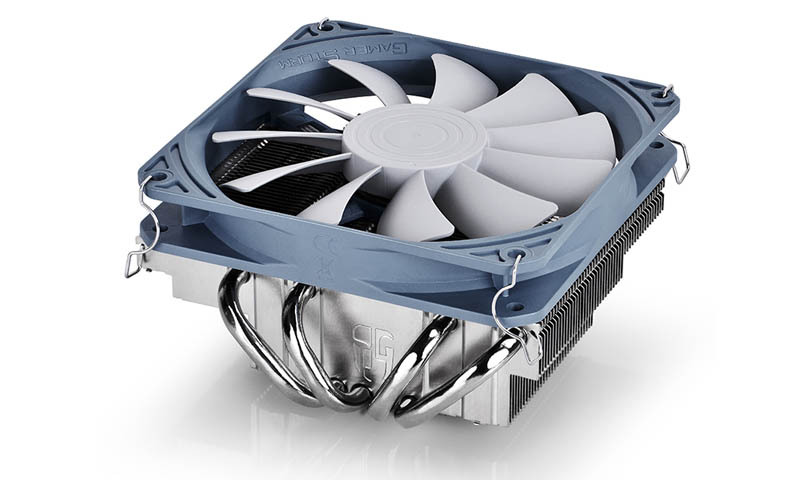 The Gabriel also fitted in a build where other coolers didn’t – more on that later. 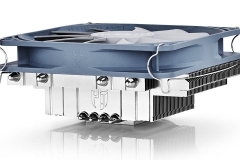 The 120mm PWM fan is only 20mm thick as opposed to the usual 25mm of a standard case/CPU fan – this helps reduce the overall height of the cooler. 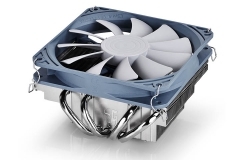 The fan is quiet in general use but does get loud under load and if you run it at 12v or full speed in a PWM profile, you will hear it over other case components and ambient room noise. It isn’t offensively loud at full speed but it’s clearly noticeable. 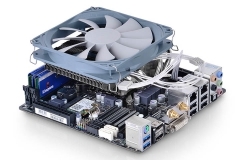 Luckily, a CPU that isn’t overclocked running in a well-ventilated case it shouldn’t be an issue – for a HTPC it is very quiet. In general use on our two concept builds (one MATX and one Mini ITX), it was perfectly fine from an acoustic perspective. 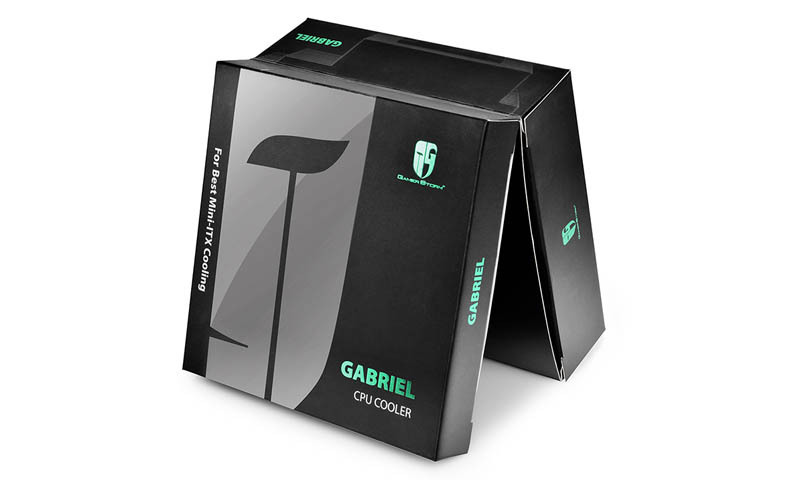 At $49 the Gabriel slots in at the middle of the range for low profile coolers. The low profile design meant that this cooler fitted every board that I tested it on (ASUS Z87 Gryphon, ASUS Maximus VI Gene, MSI Z87M Gaming, MSI Z97I Gaming AC) and in both the Fractal Design Define Mini and Node 304 chassis. 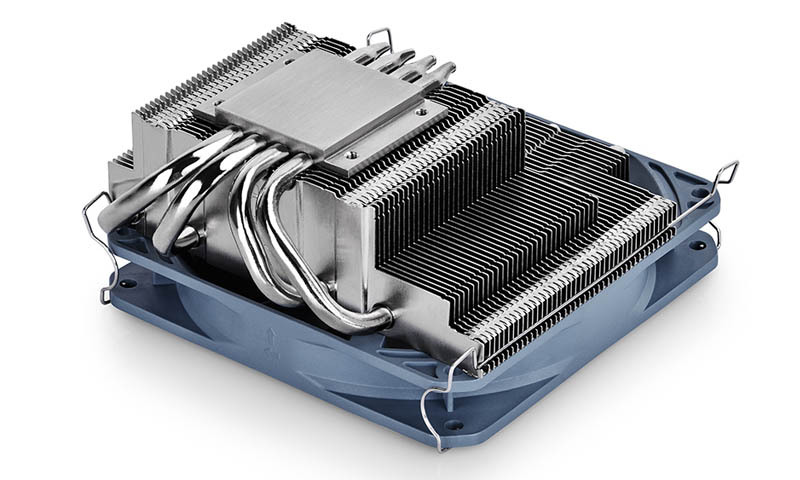 There are 4 heatpipes and the bends are typically tighter than other coolers I’ve seen but they are neat and minimise clearance issues with compact but busy motherboards. The nickel plating is ok but it doesn’t feel premium. The base is matte and not polished like the Lucifer. I had some issues with getting ideal contact when mounting on our test bench and had to use more thermal paste than other CPU coolers to find the sweet spot with temperatures. The 120mm fan was pretty good under normal circumstances with our i5-4670K but loud when pushed to 12v to cool an overclock or in specific test scenarios. Under normal conditions though, the average person would find it hard to hear the Gamer Storm 120mm fan on a standard PWM profile. 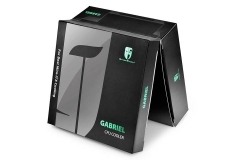 The fan cable is also a double edged sword for the Gabriel. I liked that it was flat and durable but it has 4 unbraided wires that are too long for the cooler. 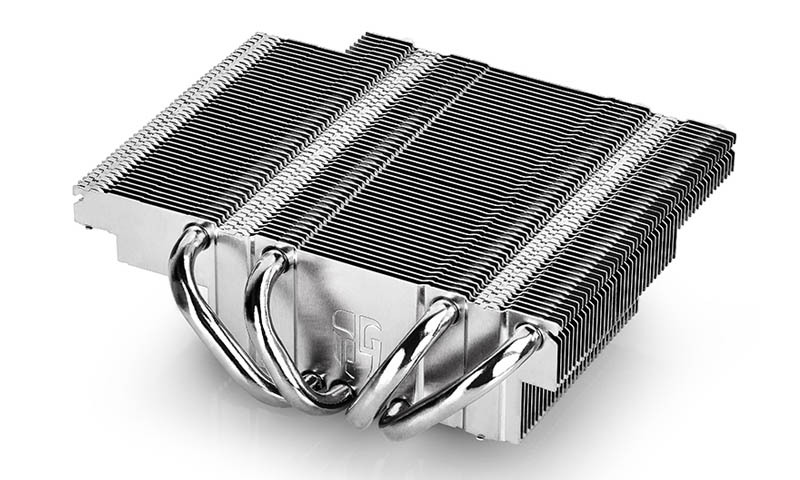 This is a CPU cooler designed for tight spaces and a PWM header which is normally found on the motherboard near the CPU socket. There is 440mm (yes 44cm!) of 4 strand spaghetti to cable manage which isn’t the easiest. I’d rather have seen something like a 12cm braided fan cable and a 30cm extension cable included in the accessories. Socket Compatibility is right on – although it doesn’t cater for the big 1366 or 2011 CPUs, these are unlikely to be in use by the target market. The specifications are clear regarding compatibility so it’s all good here. 1 sets of fan clips for the included 20mm fan – Note that these clips will NOT fit a 25mm fan so switching the fan out will prove to be an issue for most people.